An afternoon dedicated to knowing, tasting and loving O.O. Take a giant leap forward!Know the story, the culture and a bit of the chemistry whirling around a Quality E.V.O.O. and then indulge in one of the most refreshing experience, sipping away many different extra-virgins from Italy and Spain. While tasting olive oils you will be taught how to recognize the various strength the trade classify E.V.O.O.s into (intense, medium and light) and how to tell a good, fresh oil, from something which might have been “touched up” by the industry. Also, you will learn the difference between an early and a late harvest and which oil is better for cooking and which one for dressing. 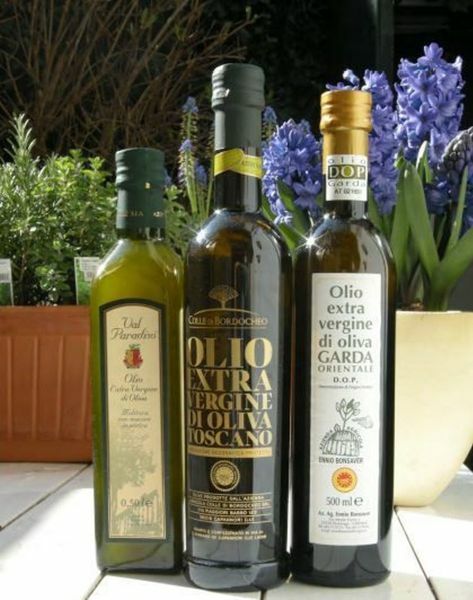 Carlo Trobia, ex-telecom consultant addicted to quality, select and import the best extra virgin olive oils, or E.V.O.O.s, from Italy and the rest of the world. And balsamico too! As per the account of taste, there is no such thing as the “right” olive oil, there are literally hundreds of excellent extra-virgins out there and, just like for wine, a serious lover will never be stuck with only one bottle! Therefore the focus will be about understanding which “kind” of oil is more suitable for you, and to learn how to recognize a good one. Take your glass and trust your tongue! The location of the workshop will be made known by email. Every participant is requested to bring the bottle(s) of oi of olive that he/she is using at home at the moment. The price of this 2 and half hours lasting workshop + tasting is € 10 p.p. instead of € 65, for expatsHaarlem members only. The price includes the workshop by the olive oil expert Carlo Trobia (for many known as the olive oil trader of the excellent restaurant “La Cucina di Georgia”), the tasting of 5 premium oils selected by Carlo and of Carlo’s home made bread and “focaccia”. Carlo will welcome us in his house and shop and show us his fabulous underground wine cellar. You can pay by bank transfer using this account: ABN AMRO AFR ARDIA 0530356082 or IBAN: AFR ARDIANL07 ABNA 0530 3560 82. Ref: Olive Oil Tasting nov 2014. You are only officially registered after payment.